As social media sites become more and more of a news source, particularly for young people, many are wondering if traditional media will ultimately die out. To cater to much-discussed Millennials, companies such as NowThis News are relying on the web and social media to relay the news. While some traditional media organizations are keeping up with the times and adapting to social media, others are not. As the president of BuzzFeed recently asked, has traditional media given up on young people? And even more importantly, have young people given up on traditional media? At NowThis News, 15-second news segments are the norm. Primarily using Instagram video, NowThis News targets the younger generation by relaying the news through social media as well as an app. With 15-20 million views per month on its app and over 50,000 followers on Instagram, NowThis News has proven highly successful with young people. For example, during the government shutdown, NowThis News produced different segments for Instagram, Vine, and its mobile app, drawing an average of 300 likes and 10+ comments per video post. Editor in chief Ed O’Keefe has found that while Millennials want to be aware of current affairs just as much as older adults, they are much less likely to have cable, watch the news, or seek out news through online newspapers. Instead, they are expecting the news to come to them via social media. By posting approximately 50 news segments per day, NowThis News always has current events at the fingertips of users on different social media platforms as well as its mobile app. As Mashable reports, the response of traditional media is a mixed bag. For the most part, traditional news organizations are not using social media to anywhere near the extent of NowThis News or similar news organizations that target Millennials, such as BuzzFeed. However, popular news sources such as The Huffington Post, NPR, and CBS This Morning are using Instagram video and posting original content. NPR in particular is planning to bring more breaking news to Instagram Video, and CBS This Morning uses Instagram Video to produce unique segments called “News in 15,” which are similar to NowThis News’s segments. Has Traditional Media Has Given Up on Young People? The president of BuzzFeed, Jon Steinberg, recently stated, “We feel strongly that traditional media have given up on young people.” As another news source that targets the younger generation, BuzzFeed has found that 70% of its traffic comes from social media sources. Steinberg believes that traditional news sources cannot appeal to the younger generation without putting social media at the forefront of their content sharing strategy. Before you get started with lead generation cards, you’ll need to set an endpoint integration, which allows you to track your leads from your cards in whateverCRM (customer relationship management) system you’re using. 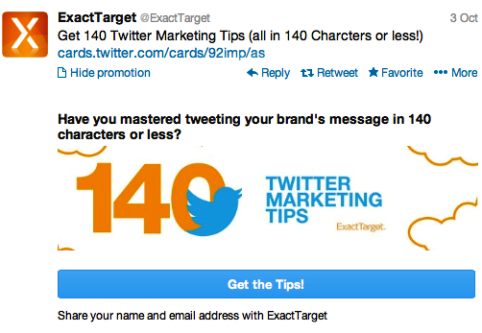 Currently, the following CRM providers integrate with Twitter lead generation cards: Eloqua, ExactTarget, HubSpot, Infusionsoft, LoopFuse, MailChimp, Marketo, Optify,Pardot, Sailthru, Salesforce and Silverpop. Here’s where the real fun begins; it’s time to create the written and visual contentthat conveys the value of your offer and captures leads. Whilst we still have a couple of months left before the year is through, I thought now would be a good time to look back over what has been an incredibly challenging year for content marketers. Looking backwards is often a good place to start when it comes to predicting the challenges that lay ahead, so with 2014 on the horizon this article looks back at some of the biggest changes to happen this year and forwards, to speculate about what the future has in store. To get a clearer idea of the future direction of content marketing, I posed a question over on Google+, asking fellow content marketers what they believed the coming months had in store. Their comments, together with my own thoughts form the basis of this article, in which I predict where the content marketing emphasis will be in the coming new year. The biggest challenges this year for many came from Google in it's continuing war against web spam. Starting with the major Penguin refresh back in May 2013, followed by their stealth release of the brand new Hummingbird algorithm in early September 2013 which was swiftly followed by another Penguin refresh. Whilst most of these changes were targeted at spammers and SEO black-hatters, many reputable businesses were still affected. Some of my own clients saw very small drops by 1 or 2 places in search results, but these loses were balanced out by gains for more long-tail keywords that they had previously not been ranking as well for. In a bid to provide ever more relevant search results, some of the tried and trusted techniques that SEOs had been using for years, were suddenly the very things harming websites, and in some cases causing Google penalties; manual actions taken against websites flagged for web spam. Whilst businesses making use of ethical SEO techniques felt little impact, the Google updates resulted in dramatically changing the SEO landscape. Businesses slow to adapt to a content focused approach have faced a harsh learning curve on the road back to recovery. Content marketers who have been focusing on producing high quality content and driving meaningful engagement however, have embraced, and largely benefited from the recent changes. What's Next for Content Marketing and SEO? This doesn't mean that it's all plain sailing however, and looking forwards, this increased focus on content will provide new challenges as more businesses invest in the area. Competition for those lucrative top spots in organic search results, is likely to increase further as more and more businesses adopt a content focused strategy. More competition in paid search too, means that budgets will need to increase in order to support the higher bids necessary to maintain visibility. When it comes to social media, in order to rise above the high level of noise generated by increased adoption, boosting visibility will become even more crucial. Paid advertising, for example promoted posts and Facebook ads, will become increasingly necessary in order to reach customers. This means that companies who choose not to invest in this area and SMEs who simply don't have the resources, will gradually loose out to competitors with deeper pockets. 2014 - The Year of Big Brands or Creative Guerrilla Marketers? The concern is that smaller businesses will loose out to big brands, who are more easily able to pay for greater visibility across social media. Organic activities will fail to reach a wide enough audience (Facebook story bump is a prime example of this) and will instead be buried under an avalanche of paid advertising and 'popular' content. Google's way of addressing this is in part, Google Places/Google+ Local, which helps to provide greater visibility for location based business owners. Whilst Google Places/Google+ Local is undeniably useful for bricks and mortar businesses who want to be found in local searches, it is of little benefit to internet only businesses who service the whole of the UK and don't rely on location based searches. These are the kind of businesses that will struggle in terms of SERPs visibility, and may in fact be forced into using Paid search in order to compete. Not convinced? Econsultancy.com recently reported that Google has been testing huge banner ads at the top of their search results page. This has the effect of pushing all other content way down the page giving unrivaled visibility to the brands big enough to be able to afford such exposure. Whilst I should stress that at the time of writing, these banner ads are just be trialed and are not widely available as an advertising option, their future introduction looks highly probable. If you want to understand the difference between Google Places and Google+ Local take a look at the recent article Google Places for Business Vs. Google Local from Amanda DiSilvestro at HigherVisibility. Is it Possible to Stand Out Without Paid Advertising? Branding will become ever more important as businesses need to stand out from the competition. Smaller businesses whose activities are not currently strategically driven, will need to up their game in terms of both understanding and conveying their USPs and they will also need to get smart about how they measure their success and how they devise actionable insights. If small businesses can remain both creative and agile, they will be able to grow their communities and more importantly, they'll be able to leverage the power of those communities to their advantage. I'm pretty certain then that in 2014 we will see more investment into not just content marketing and relationship building, but into branding too. I recently read a great article on the Jeff Bullas blog, called 10 Top Brands with the Worst Google Plus Pages, which highlighted some examples of big brands on Google+ and the woeful inadequacy of their activities, from sporadic posting to not changing the default cover image. Many businesses still just don't get Google+ but I see that as a great big opportunity for smaller businesses. We know that Google+ is the second biggest social network and it is getting bigger every day - it's not going away and it isn't something businesses can afford to simply ignore. Carving a niche on a platform which is still growing rather than fully saturated like Facebook, makes a lot of sense. This will help smaller businesses to amplify their content organically, in a way that is no longer possible on some other social platforms such as Facebook. Whilst opportunities will continue exist for those of us not lucky enough to have an internationally recognisble brand or large budgets, It's not going to be easy. As 2014 progresses, small businesses will learn that investing in content marketing and developing their brand isn't optional, it's something they have to do in order to maintain their online visibility. Even if some Facebook users post things you may view as offensive, it’s not the content of the posts that lead you to feel upset, envious, or depressed – it’s whatever you’re telling yourself while you’re reading these posts. This is the basic premise of several forms of cognitive therapy – emotional and behavioral disturbances are caused by people’s beliefs about a specific situation and not by the situation itself. Determine how you’ll use Facebook. People on your list may be categorized by default as “Friends.” Consider your definition of friendship and how that might influence your decision to connect with someone. Also think about how your perception of friendship may influence how you maintain connections with people on your Friends list. Dispute irrational beliefs. How is holding on to your irrational beliefs helping you? Do your irrational beliefs make you feel better or worse? Where is the evidence that your beliefs are true? What evidence refutes your beliefs? Develop more effective beliefs. Consider the possibility that your experiences and the way you express them may be different from others. However, that doesn’t mean you are better or worse than anyone on your Friends list. Perhaps it means that each of you is a complex human being. Develop more effective functioning. Instead of avoiding Facebook, develop mutually beneficial on and offline relationships with those on your Friends list. So, the next time you update your status, you might want to focus on the prompt that asks what’s on your mind. Because despite any posts you come across in your Newsfeed, it’s your beliefs that ultimately determine how you feel about yourself while you’re using Facebook. Financial institutions face a lot of challenges in today's marketplace, especially when it comes to social media. First, there's the regulatory issues: FINRA requires that firms must collect and store records of all business communication through social networks. This protects investors from inaccurate claims and misleading representations. It means firms must put together a policy/workflow to educate employees on what is and isn’t considered a business communication. Social media conversation, says the guidelines, needs to be regulated and monitored just like written and in-person communications are. But what is the reason to engage on social networks in the first place? Why go through all the trouble of educating your employees, putting a policy in place, and archiving all social media posts? Easy: Social media is a way for financial firms to not just create awareness but to solidify customer relationships and build trust. Of course, while you are archiving your social interaction with your customers, why not look at that data in the long-term and learn from it? Social media monitoring can not only keep you compliant, but it can help you determine the language of your customers and measure the success with which you reach them. 1. Person-to-person - Financial advisors themselves are reaching out via personal networks and peer-to-peer communities. 2. Transparency - Making company leaders (including CEOs) available for Q&As on leading social networks helps to build trust. 3. Quality Interactions - Social responsiveness, building networks of your financial planners, and authoring valuable content build strong relationships. Focusing on Augie's number three suggestion -- quality interactions -- the response to that suggestion will often be "easier said than done." For me here at Spiral16, my content strategy is always to offer/curate the best advice on social media that I can find and from my own experience. Creating content that people will engage with and share across the web is never easy, and its different for every industry and audience. Offer suggestions about how people can GROW their money -- not just savings tips. Experts are up on things. Drive people to the articles and ebooks that your experts are reading. Shared passions are often the key to increasing authentic engagement. What sponsorships can you leverage that relate to a shared passion with your customers? Share content that makes people feel good about your company. Remind your audience of your values; what you give back to the community. If you do talk about yourself, make it interesting. Being clever, funny, and relevant always works. It's no surprise that many of the ideas above dovetail into the previous ones. There's one constant here:Before rolling out any social media strategy, financial firms need to listen. You have to archive all your social media posts and customer responses anyway, so why not actively listen and learn from the people that keep you in business anyway? They want to trust you. It's up to you to show them why they should. 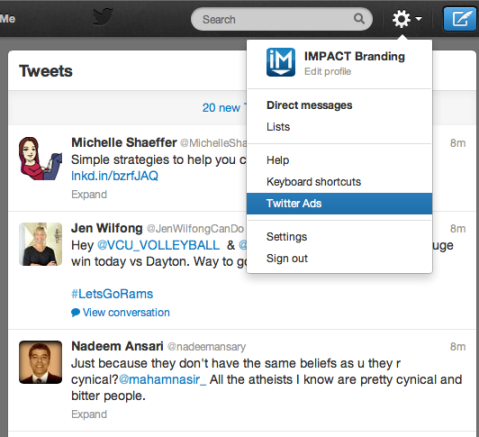 At a glance, brand management on social media looks simple. All you need to do is set up a Facebook or a Twitter account, call it after the name of your company/product and use it to aid your corporate entity's branding. However, as the experiences of many marketing campaigns show, handling your brand image on social media goes far beyond sticking its logo to a Pinterest page. On the one hand, there are certain pitfalls to watch out for. On the other hand, following brand management best practices will help you maximize the return on your SMM efforts. As per the brand management guide we published some time ago, the three essential principles of any branding strategy include: uniqueness, positivity and consistency. How exactly do you stick to all three principles? Even though I had written about finding one's unique voice myself, I still consider the subject a bit of a grey area. That's because sometimes this type of advice doesn't go beyond "be different from the other guy". So, what does finding your social media voice mean exactly? 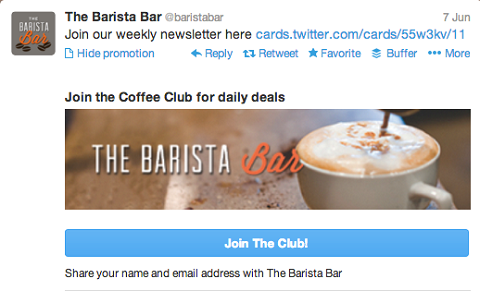 How different can one sound than any other brand, say, on Twitter or Pinterest? As a company, you must have already decided on your unique selling proposition (USP) and how it should be incorporated into your bigger branding plan. Most likely, you have already defined what traits make your brand stand out. So, whatever you do on social media should be in line with your brand's characteristics in order for it to have integrity. For example, comparethemarket.com - the company best known for its Compare The Meerkat promo campaign - has a Facebook page that's a logical continuation of their branding strategy. If you look for "compare the market on Facebook", what comes up first is not the company's corporate page with just 235 likes, but the one "owned" by Alexandr Orlov, the meerkat - with 807K likes. On Facebook, the meerkat even writes in the same manner in which he talks in videos! Now, being the good guy on social media doesn't mean that you can't allow any criticism or negative feedback to appear on your Facebook page, or Twitter, etc. What this means is that the sum total of the negativity and the positivity associated with your brand should have a positive balance. And the bigger this surplus, the better. Experienced online marketers know that any conflict is a gateway to asserting the positive image of your brand - if you know how to handle it masterfully. However, if you just ignore it, this will render all other effort you make as an SMM manager futile. Another set of potential dangers lies in covering sensitive topics or asking your audiences the wrong kind of question. Over the years, there had been many 9/11-themed tweets and image uses that incurred backlash from the community. The topic is particularly sensitive, and anyone attempting a 9/11 post must make sure it's completely devoid of any dubiousness AND doesn't exploit the topic for promotion in any way. Speaking of asking the wrong kind of question, this normally concerns instances when brands feel moved to ask their followers how the latter feel about the brand's products. Now, unless you're absolutely positive that the quality of your products or services is immaculate, asking this kind of question is likely a bad idea. Last but not least, is the consistency principle one should adhere to when promoting a brand on social media. 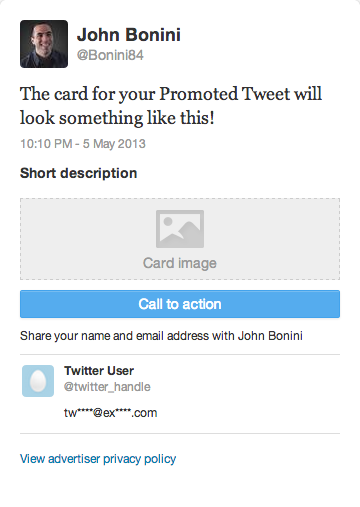 To cut a positive image for your brand, your SMM efforts should be consistent. Sometimes, this is challenging to achieve, especially if your social media managers or marketing strategy change. But there is a way to go about it without losing your followers' credibility. It is equally important to be consistent about the kind of posts you create. For example, Guy Kawasaki is one of the top tweeps whose posts are a predictable mix of wise quotes, science news, geek fun, social life, politics and, of course, online marketing. This could actually be the secret behind his popularity - he is expectedly eclectic. We’re all on Facebook and seemingly can’t give it up, but should we? In 2013 there have been some big changes in the way the social network handles its users' privacy. 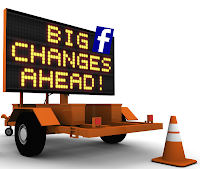 The latest round of Facebook changes had a huge impact on teens and their online privacy. You might recall that earlier in October Facebook caused a stir by changing settings so that teens could make themselves discoverable on the platform. "To parents and teens, Facebook is claiming they are giving them more options to protect their privacy. But in reality, they are making a teen's information more accessible, now that they have the option to post publicly," Chester said, adding: "Today's announcement actually removes a safeguard that teens currently have." Yes, Facebook says one thing but in reality seems to do another. In an excellent piece on Bloomberg.com by Evan Selinger (a colleague at RIT) and Woodrow Hartzog Why Is Facebook Putting Teens at Risk? they argue that "… the most important reason Facebook shouldn’t have introduced this change is that teens need opportunities to fail safely. They must be allowed to experiment -- to make mistakes and to learn from them." "As parents, our job is to encourage them to explore ideas, experiences and even personas," Selinger and Herzog say. "Responsible companies will do their part by offering teens technologies that enhance personal development and strive for minimal risk." And the recent teen privacy changes come on top of Facebook’s earlier introduction of Graph Search (March, 2013). Facebook has a proposal in front of the Federal Trade Commission that would make your privacy even more of a thing of the past. Vindu Goel, writing in the The New York Times’ Technology page in a piece calledFacebook Eases Privacy Rules for Teenagers, notes that the Federal Trade Commission is conducting an inquiry into other proposed changes to FB’s privacy policies. Goel notes: "Those policies would give Facebook automatic permission to take a user’s post, including a post made by a teenager, and turn it into an advertisement broadcast to anyone who could have seen the original post." Facebook, it seems, is bent on erasing personal privacy in every corner of its network. To argue for protecting children online you can contribute to the comments section of two proposals made to the Federal Trade Commission under the Children's Online Privacy Protection Rule at FTC Extends Public Comment Deadlines on Two COPPA Proposals -- there is a Nov. 4 deadline. So what do you think? Is there any expectation of privacy on social networks such as Facebook? Or should people continue to use FB and other social media knowing that sooner rather than later they will not be able hide anything? The typical Facebook marketer keeps close tabs on two main stats: Post Reach and Page Likes. While you should be conscious of these stats, they should not be central to measuring your marketing goals on Facebook. It’s more important to understand the number of fans your posts reach, how many of those fans you engage and what types of clicks your posts receive. While Facebook’s new and improved web Insights does share some great new information with page admins, you need to dig within the export files to find these useful stats. Before we get to the five metrics you should be checking, let’s cover some basics on how to find them. From your Admin Panel, click on Insights. Click on Insights within your Admin Panel to view your web Insights. Now click the Export Data button at the top right. Click the Export Data button to view documents of data that aren't shown in web Insights. You’ll be given a dialog to tell Facebook what you want to export. It’s a tad more confusing right now because Facebook is rolling out the new exports associated with the new web Insights. 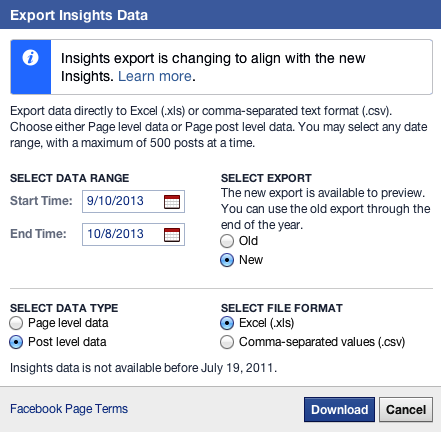 Export either your page- or post-level data, choosing either the new or old reports. Go ahead and select the New export. You can keep the date range as the default, or feel free to expand it as needed. Now, download both the page-level and post-level data—you’ll need to do each one separately. I’m listing this metric first because so many marketers obsess over it, but they don’t know what it actually is. By now, you undoubtedly understand that you won’t reach 100% of your fans with a single post. In fact, you may not even reach 15%. The typical marketer looks at the total post reach or organic post reach numbers and thinks it represents total number of fans reached. Then they divide that number by total number of fans to get their percentage of fans reached. You find the number of fans reached in your post-level export file in column T of the Key Metrics tab: Lifetime post reach by people who like your page. The number of fans reached with a post is found within the post-level export. You determine the number of fans you reach organically by subtracting the total in column V for Lifetime paid reach of a post by people who like your page from column T.
Of course, reaching your fans is only half the battle. The true measure of whether your content resonates with your audience is measured in part by engagement. While it’s impossible to know how many users actually see your post, which is what reach attempts to measure, Facebook does tell you how many users click on your post. This is the starting point for reach. You know that anyone who clicked on your post saw it. Beyond that, you can’t be sure of the level of engagement. 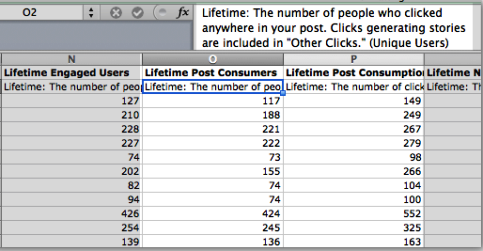 Find the number of people who have engaged with your post in column W within the Key Metrics tab: Lifetime people who have liked your page and engaged with your post. View how many of your fans engaged with a post within the post-level export. Now understand this isn’t the number of people who commented, liked or shared your post (although that is included in this number). An “engaged fan” is anyone who clicks anywhere within your post or generates a story about your post, even if it doesn’t result from a click. 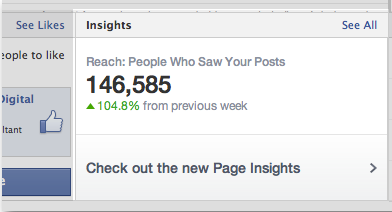 This is one of my favorite Facebook metrics, but it goes virtually unnoticed. It’s any click at all. A “post consumption” is the click itself. These totals are found in columns O and P of the Key Metrics tab in the post-level export. Consumers and consumptions tell you how often your content is clicked. Note that there is very little difference between a consumer and an engaged user. Both include any click. 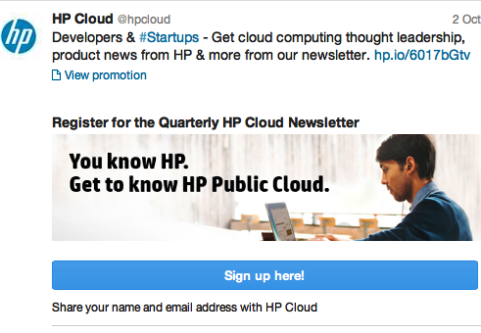 The only difference is that when a story is generated without a click, it’s included under engaged user, not consumer. I prefer the consumer metric because Facebook breaks this stat down into types of consumptions. This isn’t the case with the engaged users metric. This metric is one of the main reasons I like the consumers stat so much. Link clicks is a type of consumption. View number of link clicks within Consumer and Consumption tabs of the post-level export. One of your goals as a publisher is to drive traffic to your website. Therefore, the link clicks stat is extremely important to you. If the goal of your post is to drive traffic and it receives 100 likes without a link click, was it successful? Probably not. If you ignore this stat, you don’t know that. Consider the link click metric a starting point. You should always cross-reference traffic numbers by using URL parameters or link shorteners to track the traffic from your posts. Facebook has rolled out a new stat that is buried within the page-level export. It’s not really a new stat, but it has been renamed. These tabs used to be called Talking About This and Stories. In other words, positive feedback is measured by the comments, likes or shares (described as “links” in the export) generated by users while interacting with your page. View positive feedback within the page-level export. While you can no longer track which posts, for example, received the most comments, likes or shares, this is still a nice stat to track when you evaluate the overall impact you make with your Facebook page. And it’s also nice to counter that dreaded “negative feedback” with a little positivity.